Bubblemath are proggers from Minnesota. Apparently they are considered "math rock," but I have don't get that whole distinction. I mean, if it's all about technicality, then all prog rock is "math rock," right - or at least the bulk of it. In any event, I got the chance to pose some questions about a lot of topics (but I didn't broach the "math rock" thing) of Bubblemath's Kai Esbensen (keyboards and vocals). WORMWOOD CHRONICLES: Can you catch the readers up on the history of your involvement in music – both individually and as a band? KAI ESBENSEN: Surely! When I was 12-years old my grandmother got me a Devo record for Christmas, and my whole entire life up to that point did one big massive spit-take. I couldn't believe what I was hearing; that music could be so weird and so catchy at the same time. I knew right then and there that I wanted to be in a band. KE: Well, my first answer would be writing lyrics. But that's probably cheating, what with lyrics being under the auspices of music-involvement and all. Strictly non-musically -speaking, I probably would have ended up as a meteorologist; with a focus on severe-storm morphology and water vapor dynamics. 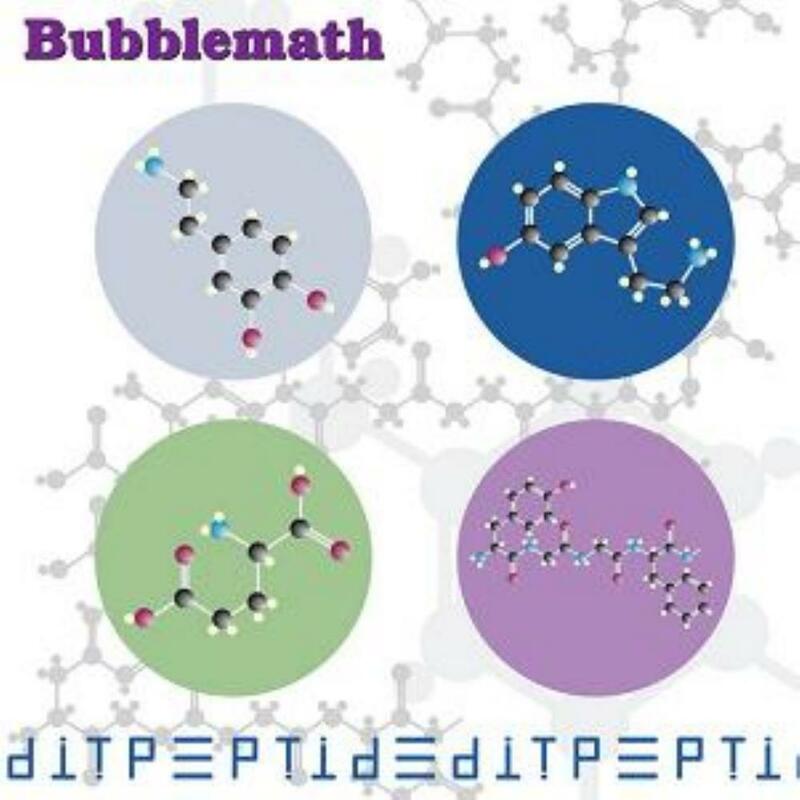 KE:The name Bubblemath is a tip of the hat to the branch of physics that deals with the mathematics behind the surface tensions of bubbles. When it came time to think of a band name, back in the day, the world wide web was just first getting started. The concept of search-engine-optimization was completely foreign, and I thought it would be future-crucial to have a band name that when searched for would only yield band-relevant results. "Bubblemath" fit the bill. KE: Devo, Genesis, the Gershwin brothers, the Circle Jerks, and the Go-Go's. Probably Weird Al, a little bit. KE: We plan to release lots more new music, and we plan to do so much more efficiently this time. WC:I know many artists hate to have their music pigeonholed or labeled, but how would you describe your music? KE: Avant prog-pop jazzcore, with a penchant for science and humor. WC: Are there musicians with whom you would like to play in the future? KE: Pipe dream? Tony Banks, no question. More realistically, it'd be fun to write something with my friend Nils Frykdahl (of Free Salamander Exhibit and Faun Fables) someday. WC: Do you think that illegal downloading or streaming of music is a help or hindrance to the careers of musicians? KE: That's a hard one for me to answer. The availability of streaming is so convenient for the consumer; and consumers are your base. So the exposure you can get is fantastic. But the payout, of course, leaves much to be desired. It seems, more and more, that touring and playing shows is where it's at these days. The music itself almost serving merely as a beacon, to get people to want to experience your live shows. WC: In a related question, how do you feel about fans recording shows and trading them or posting them online? KE: I'm okay with it. Financially speaking, I don't think it hurts anything. Most audience recordings are so bad that only superfans would even bother with them. And superfans have already bought whatever they can of your stuff. They just love you, and they want more. I can't fault them for that. As I nonchalantly shove a thousand Devo and Genesis bootlegs under the couch with my foot. WC:If you were a superhero, what music person would be your arch nemesis and why? KE: This is gonna get a lot of haters, I bet, but my arch nemesis would be... aw, man... I don't wanna name names. But...okay, think of famous minimalist composers. My arch-nemesis would be a minimalist composer. Or, actually, let's just say that my arch-nemesis would be minimalism itself. That feels better. WC:If you were to put together your ultimate band (a band you'd like to hear or catch live), who would be in it and why? KE: Courtney Swain on vocals, Esperanza Spalding on bass, Hiromi Uehara on keys, Annie Clark on guitar, and Bubblemath's very own James Flagg on drums. Why? Because they are all top of their class, and they would almost certainly write my new favorite songs. Also, as long as I'm inventing this band, I get to name it: Ultraband-2000. WC: If you were in charge of assembling a music festival and wanted it to be the ultimate one from your point of view who would be playing? KE: Well, certainly Ultraband-2000, as invented above. Charming Hostess. Gentle Giant. Genesis. Yes. Devo. Paul McCartney. Poe. Jesca Hoop. Ooh, and Bubblemath. WC:What was the last CD you bought and/or what have you been listening to lately? KE: The latest Bent Knee record, "Land Animal". That record is a triumph. KE: Currently reading "An Everlasting Meal", by Tamar Adler. Highly recommended, if you're into kitchen/cooking stuff - beautifully written. She has a true love of food; and not just a love for the end result of a plated meal, but a love of the entire process. KE: Yes! And by that, I mean that I just saw Yes on September eighth. Or, I guess, officially, it's "Yes: Featuring Anderson, Wakeman, and Rabin." But they played pretty much everything I could have wanted. And way better than the other -- perfectly legitimate, mind you, just not as good in my opinion -- the other incarnation of Yes with Steve Howe and Geoff Downes. No offense to Downes, but... c'mon... Rick Wakeman, ya know? WC: Do you remember your first concert? KE: Yup! It was Corrosion of Conformity, the day after I turned 15. The t-shirt I got at that show lasted about 12 years; really well-made shirt. WC: Have you come across any new gear recently that you love? KE: It's a few years old now, so I'm not sure how "new" it can be considered, but I utterly adore my DSI Pro-2 synthesizer - best synthesizer I've ever owned. And I've owned an embarrassingly copious quantity of synths. KE: Hah! Actually, yes. I love -- and I do mean love -- I love the chewy, gritty, swooping/sweeping synth bass line in the chorus of "Party in the U.S.A." That synth line tears it up, man. I don't care what anyone says. For what it is, that bit is badass. WC:What has been your biggest Spinal Tap moment? 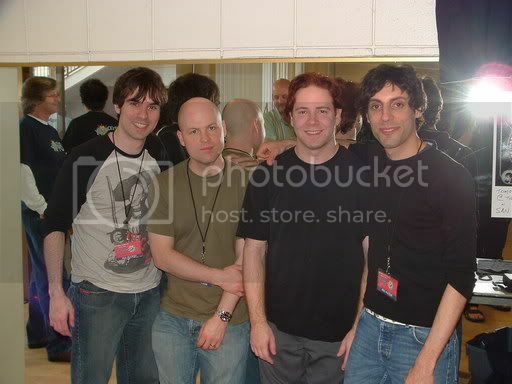 KE: Probably the show we played in Reno, NV, in the summer of 2005. Not only did nobody come -- and I mean literally zero people -- to see us, but when we started playing, the bartender and the sound guy left. So we were playing to a completely empty venue. I was laughing so hard I couldn't breathe. KE:Probably my mom, my dad, and my eldest brother; all of whom have passed away. KE: Wow, great question. And a bit of a rabbit hole we're about to go down because I'm a pretty solid home cook, and my mom passed away too soon to experience the full gamut of my armchair-amateur excellence in the kitchen. So I'd have to do all the cooking. I think she'd really dig it. KE: Yes, actually. We are so humbled and grateful for the kindhearted, supportive, and enthusiastic reception that Edit Peptide has gotten from the prog rock community; both from existing fans and brand new fans. It's been such a fantastic experience as it is; and that has been compounded by the fact that we know we have given something back to the community that is valued and appreciated. We appreciate everyone's appreciation! And we hope we continue to earn everyone's support with our third album.